Welcome to September! 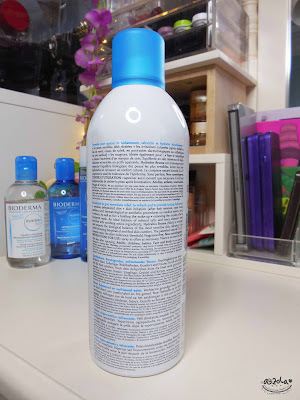 I'm back with a skincare review or more like experience sharing. I've been using this for quite a while and i want to share it with you guys! 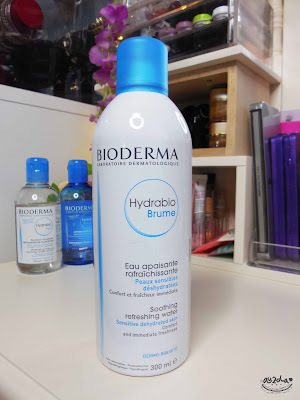 So as you probably notice, i have reviewed Bioderma Hydrabio before, but it's only the serum (check it HERE). Right now i want to share full review a.k.a experience of me using almost full range of Bioderma Hydrabio (at least the ones that already in Indonesia market). Curious what it does to my skin? Go check it out! "Bioderma has many kind of product line, one of them are Hydrabio, especially made for dehydrated skin. Dehydrated and dry skin in here means lack of water, not lack of oil. Keep in mind because it's kind of a different skin problem hehe. Dehydrated skin is more like a skin condition and can change through time, such as because of weather etc. As you might know, every day, pollution, stress, cold weather, etc. disrupt the skin's cellular activity. As a result, it becomes dehydrated, tight and uncomfortable and loses its radiance. 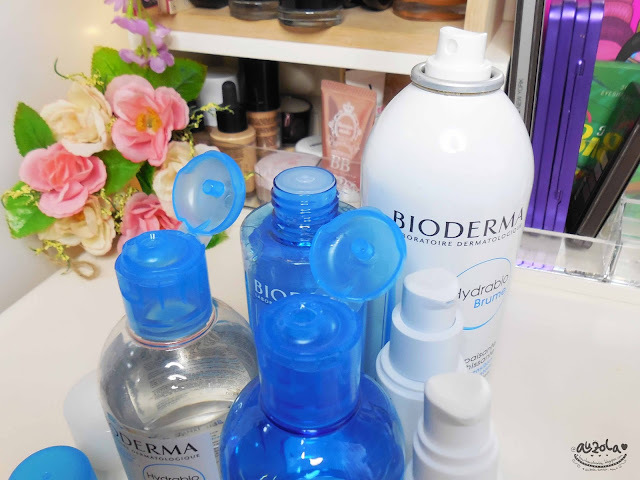 Developed in the Bioderma Research laboratories, the Aquagenium™ biological patent found in Hydrabio retrains the skin to activate its natural moisturising capacities by stimulating the production of aquaporins, water channels in the skin, and retain the water it needs to be balanced. Also it contain Vitamin PP to restores the skin resistance and Apple Seed Extract to stimulates the activity of Aquaporins, allowing the water flow within the skin." So yes, Bioderma Hydrabio Range is designed specially for dehydrated skin. Which quite many of us actually suffer, but not really noticing. 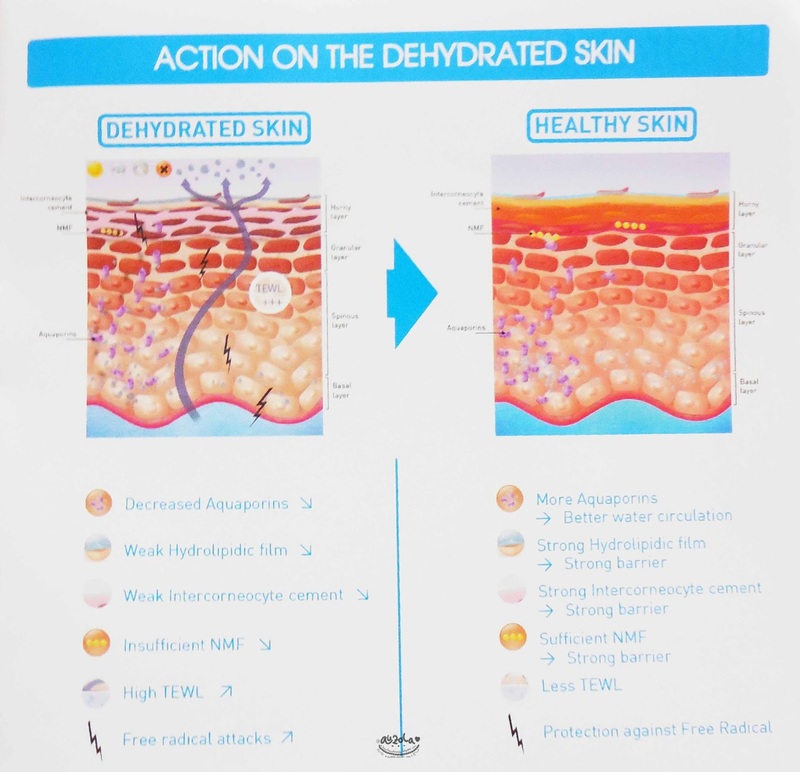 Having a dehydrated skin is actually not good for you. For me, when my skin is dehydrated, usually makeup wont stick long and it won't stick good. If you see the picture above, hydrated skin needs more Aquaporins for a better water circulation, a strong Hydrolipidic film, Intercorneocyte cement and sufficient NMF for strong barrier. 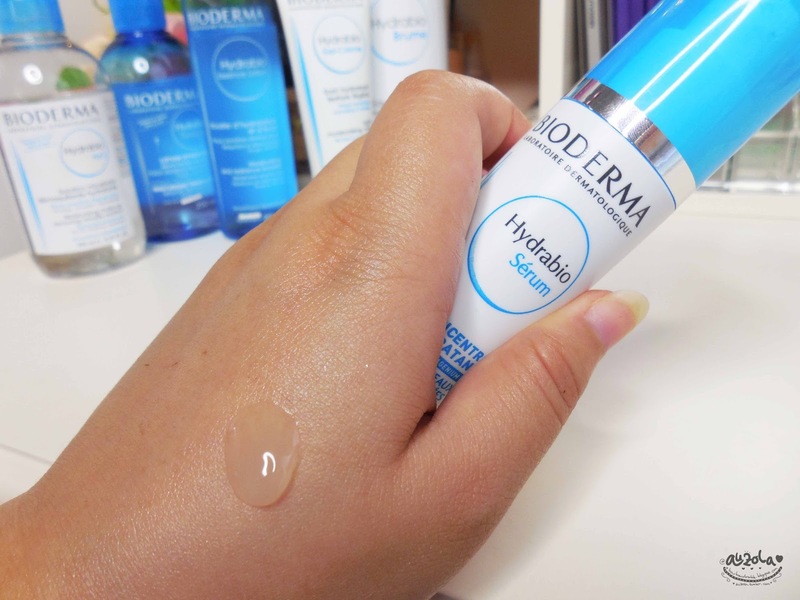 That's how Bioderma Hydrabio can helps your skin to stay hydrated! 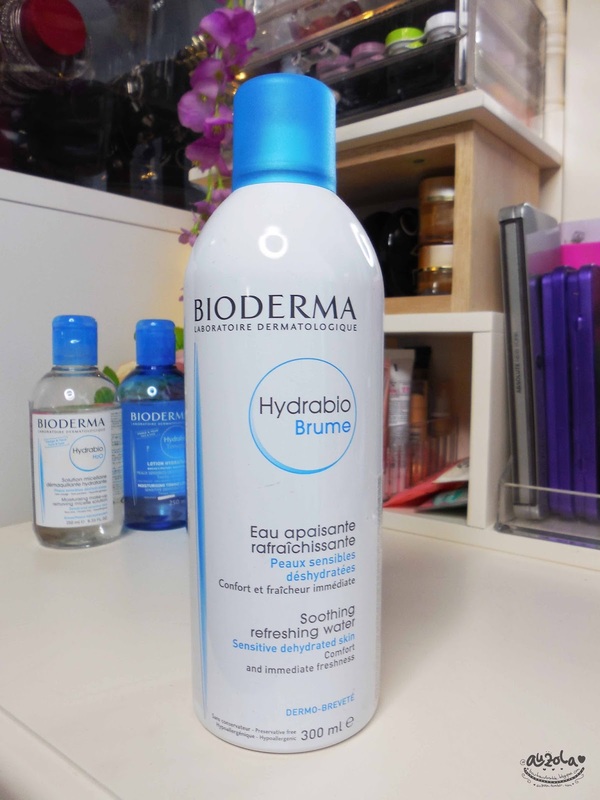 Anyway, right now two other Bioderma Hydrabio products already in Indonesia! 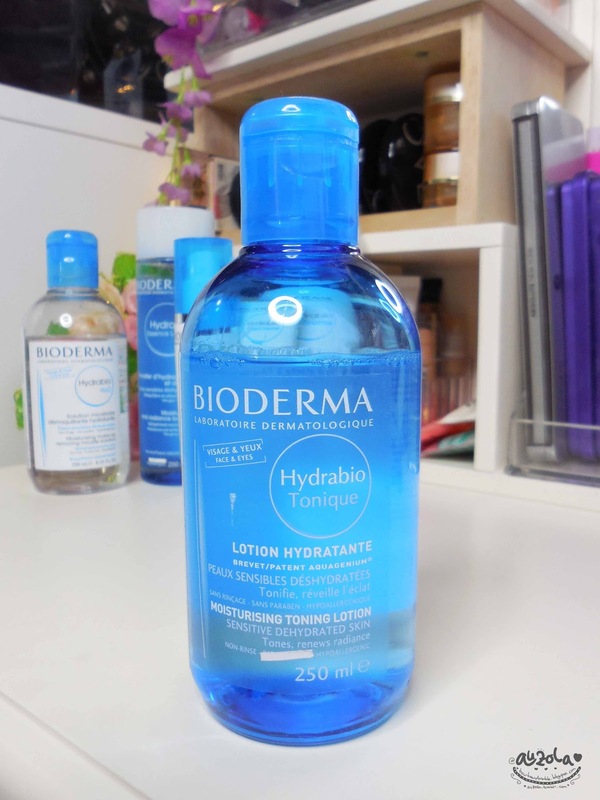 The newest two product that just got in are Bioderma Essence Lotion and Bioderma Hydrabio Gel Creme! 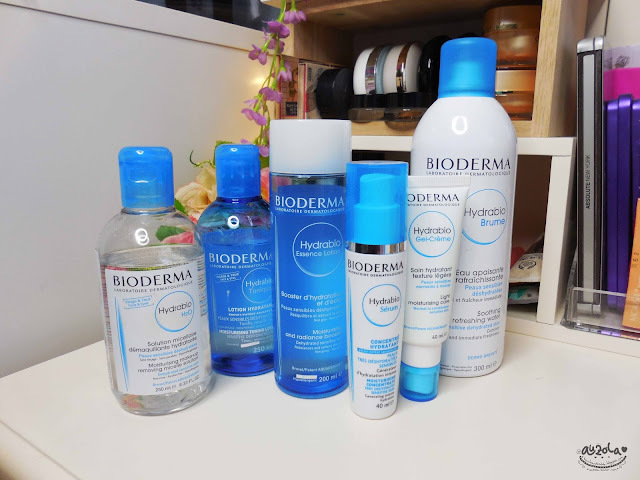 And i won't just review the two of it, but all products on Bioderma Hydrabio Range! Or at least the ones that already in Indonesia hehe. 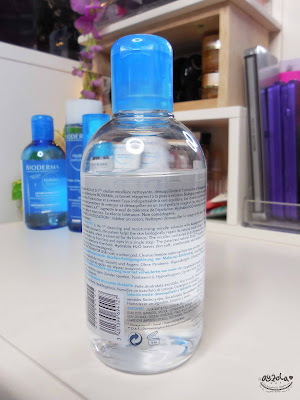 Frankly, this is one of the best micellar water i've used. 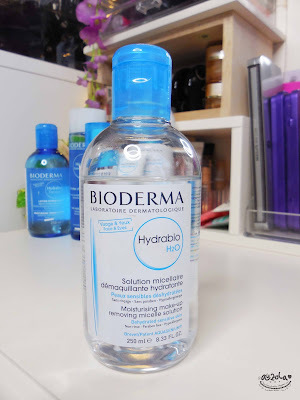 I love it as much as i love Bioderma Sensibio, except i think right now i love it more since it cleanse makeup even better and skin feels more hydrated. I even use it to clean my face even when i'm not using any makeup and it cleanse the dirt well. 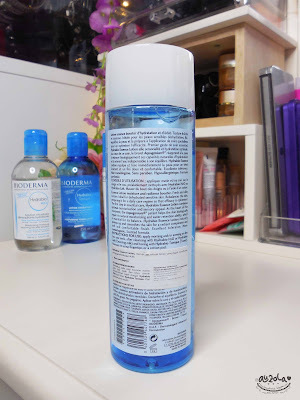 Say no more, this just became one of the top favorite cleanser for me (check full review HERE!). 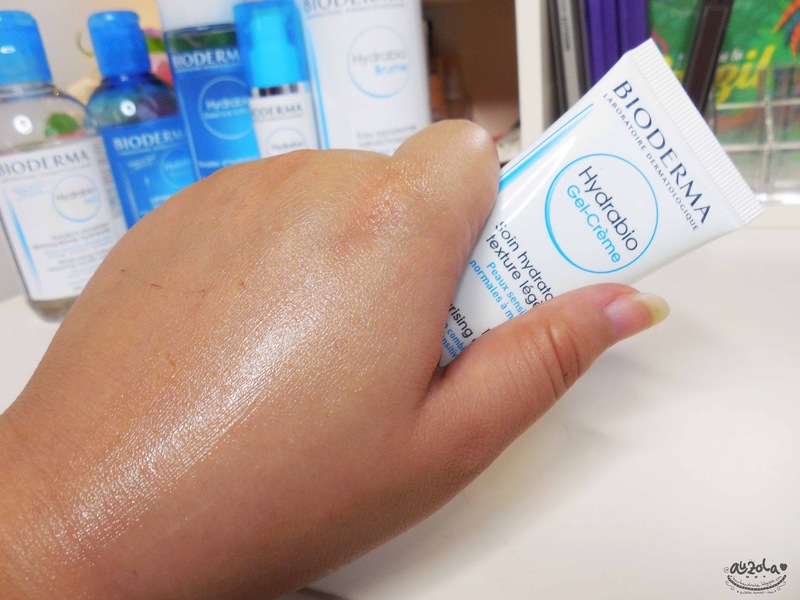 Developed in the BIODERMA Research laboratories, the Aquagenium™ biological patent found in Hydrabio Tonique retrains the skin to activate its natural moisturising capacities by stimulating the production of aquaporins, water channels in the skin, and retain the water it needs to be balanced. Actually it feels just like washing face with water. Totally lightweight and doesn't sticky or feels weird. It absorb real quite as well and leaves my skin moisturized. Totally add the moisturize your skin needs. - Apple seed extract stimulates the activity of Aquaporins, which are the natural channels allowing water flow within the skin. | Provide Intense Radiance | By eliminating dead cell and reducing progressively the stratum corneum thickness, the salicylic acid evens up and smoothes the skin, for a long-lasting radiant complexion. | Protect the skin against oxidative stress | The vitamin E plays the role of protector and helps to prevent skin-ageing caused by environmental factors producing free radicals. Moisurises and prepares the skin for the next skin care. Smoothes the skin and reveals its radiance. Sensation of freshness and comfort. Apply morning and/or evening on the face and neck, after cleansing with Hydrabio H2O and toning with Hydrabio Tonique (Toner). This one also feels like water, lightweight and easy to absorb. It soothes skin, making it feels fresh and also more moisturized. I like how it's not sticky and super easy to absorb. Even though it absorbs real well, it leaves a moisturized feeling on my face. 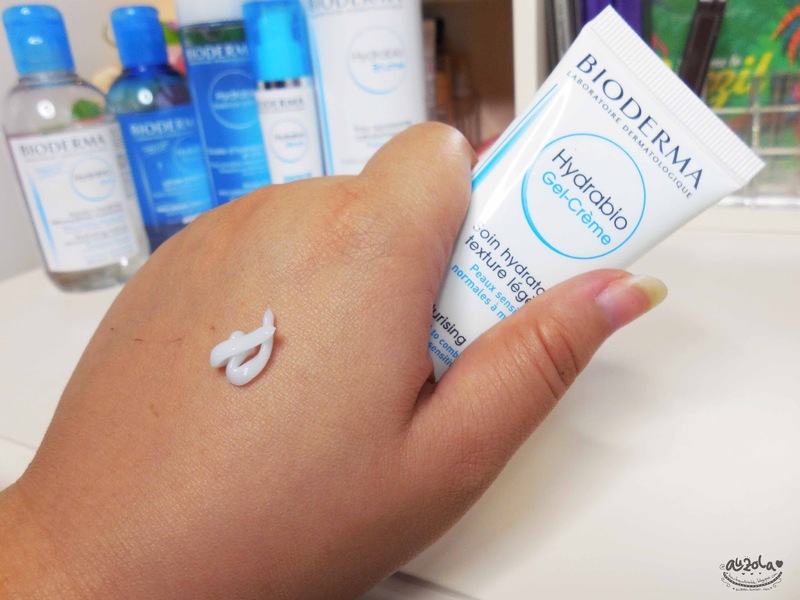 Developed in the BIODERMA Research laboratories, the Aquagenium™ biological patent found in Hydrabio Serum retrains the skin to activate its natural moisturising capacities by stimulating the production of aquaporins, water channels in the skin, and retain the water it needs to be balanced. I love it! 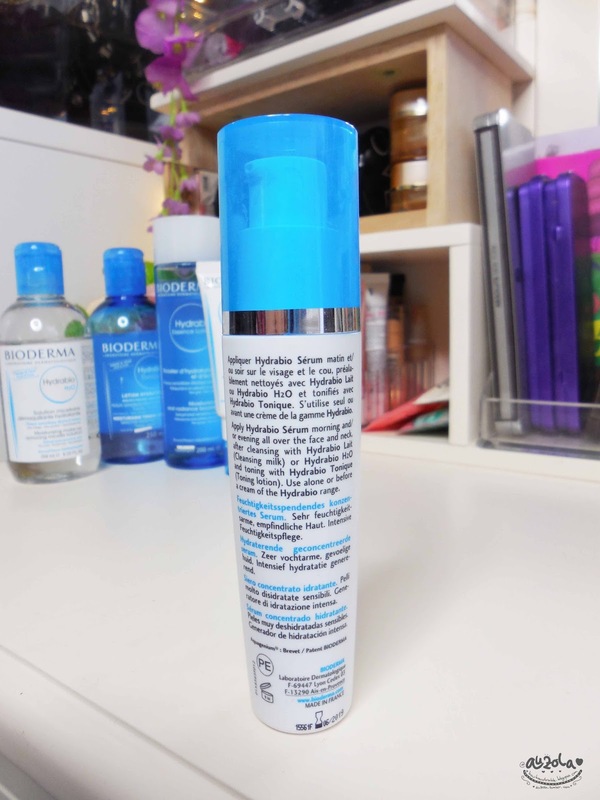 It's one of my favorite serum (as you can read here). I ever use this alone, without any other skincare, for more than 1 months. It's so light and so easy to absorb without leaving any weird or sticky feeling. In fact it does feels like water and somehow the fragrance also remind me of water or something refreshing. I totally love how it makes my skin feels hydrated even when i'm not using any moisturizer after that. | Smoothes skin texture | By eliminating dead cells, and progressively reducing cornea layer, the skin's upper layer, salicylic acid equalizes and smoothes the skin's surface, which lastingly gains radiance. | Prevents from premature skin ageing | Vitamin E helps to protect the skin against oxidative stress and combat premature cutaneous ageing. When my skin feels really dry, this is the one i'm going for. But when it's on normal condition, i wouldn't use it too much, as it makes my skin too moist (a.k.a i kinda think it makes my skin feels a bit oily for the long run). It's light, but not as light as the other. 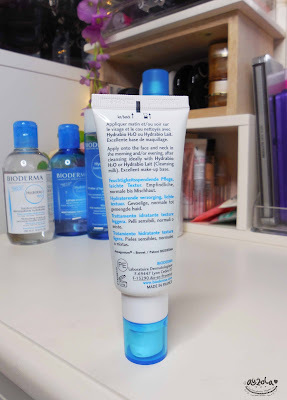 Frankly i like it especially when my skin feels too dry, because it gives total moisture and also long last. 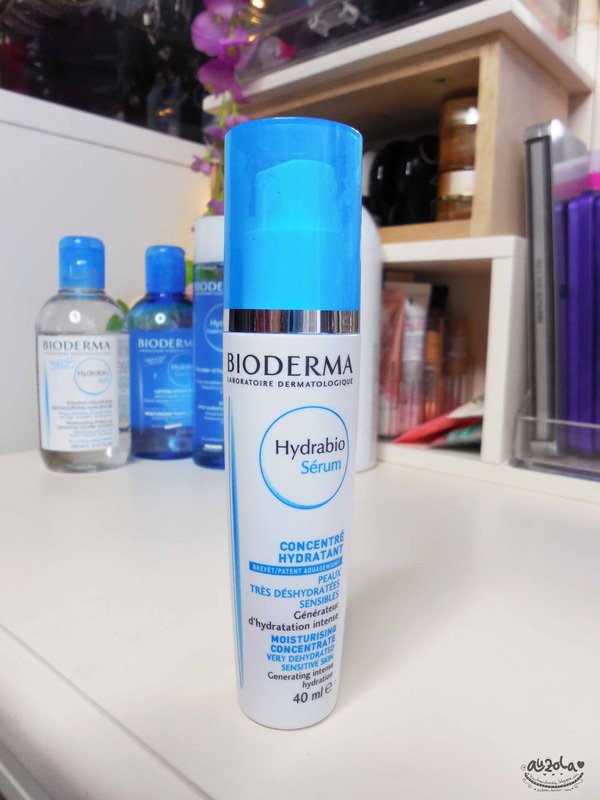 If you have dry-dehydrated skin, this is the one for you! One of my favorite face spray. I use this a lot when allergy came. It soothes the itchy skin and making it feel fresh. I quite love to use it daily when i remember, it giving me the fresh skin, yet easily absorb and doesn't smell at all. Just like using water with more benefit. Yup, it does moisturize my skin! Oh, they also got the smaller size (100ml) if you want to bring it around. I've been using this range for more than a month straight, and on off after than while trying other skincare. But when i used these product for more than a month straight, i do feel my skin getting so much much better. I mean not the acne of course, but no more hydrated skin, and even when acne attacks it doesn't turn dry! My skin is moist most of the time. I remember back then on my wedding day (week), since it was soooo hectic, i basically too lazy to use other skincare and only use Bioderma Hydrabio Serum and Essence Lotion. But when ms. Nungky (my bridal MUA) applied my wedding makeup, she said my skin is so hydrated even though the acne was kinda bad at that time (pimple came out of nowhere, when the least you need it haha). It's true, my makeup does stay from morning till night without cracking at all. She said it's amazing that she doesn't need to do too much retouch on the complexion. Then it hit me, the Hydrabio does wonder to my skin! It's amazing how my skin stays hydrated and moist, even when the acne is bad. So yeah, i love it! 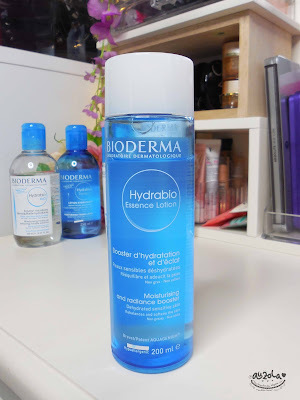 One of the best skin care range i tried, especially for dehydrated skin. All of them easily absorb, but giving my skin the best hydration. Totally what my skin need lately. So i love it! I totally recommend these range if you have hydrated skin, whether it's a dry or oily skin. It totally helps. Especially how it prepares your skin for the next skin care or even makeup. I rarely have a cracking makeup problem when i use these products. 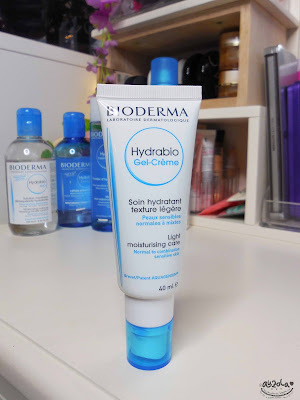 It totally keep my skin hydrated and i love it because of that! That's all folks! I hope you enjoy this loooonggg review. 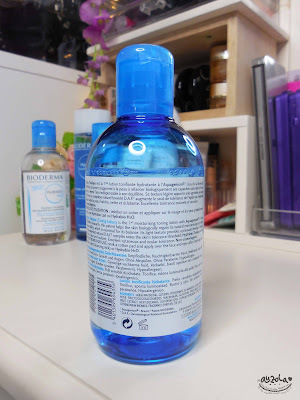 I'll try to make individual review for some of the products from this range later (you can read about the Serum HERE and the micellar water HERE)! But for now, see you guys on my next post!